Outlook is the email and calendar service that makes communicating with your colleagues, classmates, and professors easier than ever before. Outlook uses Microsoft Exchange technology, which is one of the most successful enterprise email and calendar solutions. Always accessible: Email is critical aspect of communication in large organizations, and UWM is no exception. Outlook provides access to the important information you have in your inbox via multiple platforms. It gives you access across all of your devices, wherever and whenever you need it. Simply put, Outlook moves with you. Simple scheduling: Powerful calendar features make getting your schedule in order a whole lot easier. Shared calendars make scheduling meetings with your colleagues hassle free. Learn more about Outlook here. OneDrive for Business is the new home for your personal UWM file storage. OneDrive for Business is cloud storage taken to the next level. More Storage: Every OneDrive for Business account includes 1 TB of storage.This means more space for your important documents, pictures, music, videos, and everything else. Integration: OneDrive for Business integrates with other Office 365 services seamlessly. It gives you the capability to save documents you have edited in Office Online to your account, easily attach files to emails, and so much more. Effortless Sharing: Share any of your documents with just a few clicks. The other person will have instant access to them and, with your permission, they can make edits to those files which you will then be able view instantly. Learn more about OneDrive for Business here. Office Online is a component of OneDrive for Business that allows you to access online versions of Microsoft’s popular Office suite. Log-in and you can start composing an online document right away. Powerful Productivity: Office Online provides powerful online versions of Word, Excel, Powerpoint and OneNote that you can get to quickly. Although these are online versions, you still get many of the same features you know and love from the Office suite on your desktop. Online Editing: Have a document you want to share with your classmates or colleagues? Share it out, and they have instant access. Want more? You can let them edit that document online, and everyone is able to edit simultaneously, seeing each other’s changes in real time. Learn more about Office Online with OneDrive for Business here. Skype for Business is Office 365’s powerful communication tool that provides a platform for instant messaging and video conferencing. Based on the popular consumer video chat product, Skype for Business provides features that make enterprise communication easier than ever before. Single Solution: Skype for Business provides a single, unified platform for UWM students, faculty, and staff to communicate online. HD video puts you—and up to 250 people—all at the same table. 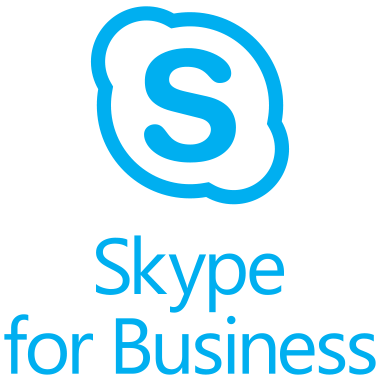 Access Anywhere: Because Skype for Business is hosted in the cloud, you can access the service anywhere there is an internet connection. If you are off-campus and need to IM with a classmate or video conference with a professor, go right ahead. Learn more about Skype for Business here. Sites is an online version of Microsoft’s SharePoint software. Sites are places for students, faculty, staff, and others to get things done together. Publish documents, host calendars, create wikis, and make working with teams easier than ever been before. UWM IT Professionals are hard at work getting SharePoint ready for the campus community. Watch this website for updates!